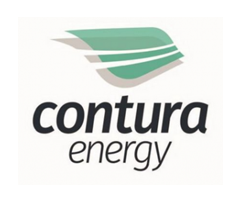 April 1, 2019 - Contura Energy, Inc. (NYSE: CTRA), a leading U.S. coal supplier, today reported results for the fourth quarter and full-year 2018 through December 31, 2018. "Between the successful completion of our merger with Alpha and the refinancing of our term loans, along with our listing on the New York Stock Exchange, the fourth quarter of 2018 was filled with significant strategic milestones for the future of our company," said Kevin Crutchfield, chief executive officer. "Immediately after the closing of those transactions, our focus shifted towards integration and synergy realization – and we are making excellent progress on both fronts with synergies progressing ahead of our initial expectations. In addition to emphasizing operational enhancements, we continue to increase our investor outreach to expand our visibility as a recently-listed NYSE company." The following fourth quarter results reflect a full quarter of Contura results and a partial quarter of Alpha results post-merger. Contura has four reportable segments: Central Appalachia (CAPP) - Met, CAPP - Thermal, Northern Appalachia (NAPP), and Trading and Logistics (T&L). Total revenues in the fourth quarter were $572.1 million. Coal revenues in the fourth quarter, excluding freight and handling fulfillment revenues, were $479.2 million, with CAPP - Met coal revenues accounting for $247.2 million, T&L accounting for $106.4 million, and NAPP coal revenues totaling $89.9 million. CAPP - Thermal revenues were $35.7 million for a partial fourth quarter 2018. Comparatively, in the fourth quarter 2017, CAPP - Met revenues were $90.2 million, T&L revenues were $141.1 million, and NAPP revenues were $61.1 million of the $292.4 million in total coal revenues. CAPP - Met coal shipments for the fourth quarter 2018 were 2.1 million tons at an average per-ton realization of $119.37, compared to 0.8 million tons at $109.09 per ton in the prior year's fourth quarter. Contura shipped 2.0 million tons of NAPP coal during the quarter at an average per-ton realization of $45.63, up from 1.4 million tons at $43.89 per ton in the fourth quarter 2017. CAPP - Thermal shipments for a partial quarter were 0.6 million tons. In the T&L segment, coal volumes were 0.8 million tons in the fourth quarter of 2018, down from 1.2 million tons in the fourth quarter 2017. Fourth quarter 2018 included Alpha-related T&L sales only through the merger closing on November 9, after which they are accounted for as part of captive CAPP - Met sales. The average T&L realization increased from $115.37 per ton in the prior year's fourth quarter to $127.88 per ton during fourth quarter 2018. Freight and handling fulfillment revenues in the fourth quarter 2018 were $95.1 million compared with $56.0 million in the prior year period. 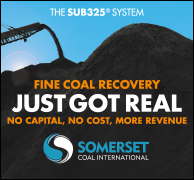 Total costs and expenses during the fourth quarter 2018 were $554.7 million and cost of coal sales was $366.7 million, compared with $304.9 million and $245.2 million, respectively, in the same period a year ago. 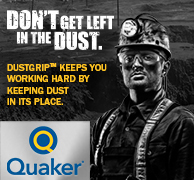 The cost of coal sales in CAPP - Met for the quarter averaged $84.14 per ton, up from $74.68 in the prior year period. CAPP - Met costs include $0.49 per ton in idle costs. The main drivers of increased costs versus last year expectations were higher labor costs, which accounted for approximately $4.00 a ton of the increased costs, and higher supply and maintenance costs, which increased costs by approximately $3.50 per ton. Also, higher sales-related costs resulting from strong metallurgical coal realizations contributed to higher costs per ton by approximately $1.00. CAPP - Thermal cost of coal sales averaged $67.40 per ton in the fourth quarter 2018, including idle costs of $0.32 per ton, and were elevated due to accelerated reclamation at a surface mine. NAPP cost of coal sales was $32.64 per ton compared with $46.04 per ton in the year-ago period, which was negatively impacted by a previously disclosed roof fall. In the T&L segment, the cost of coal sales during the fourth quarter 2018 was $101.68 per ton versus $97.62 per ton in the fourth quarter 2017. Selling, general and administrative (SG&A) expenses for the fourth quarter 2018 were $15.8 million, up from $11.4 million in the year-ago period. The year-ago period included approximately $2.7 million in non-cash stock compensation and charges related to the company's incentive plan. Included in the SG&A costs for the fourth quarter 2018 is approximately $3.1 million in non-cash stock compensation. Depreciation, depletion and amortization was $43.6 million during the fourth quarter 2018 and amortization of acquired intangibles was $(17.9) million, compared with $9.6 million and $9.9 million, respectively, in the same period last year, excluding discontinued operations. Contura reported net income from continuing operations of $155.9 million, or $9.85 per diluted share from continuing operations, for the fourth quarter 2018. In the fourth quarter 2017, the company had net income from continuing operations of $114.7 million or $10.83 per diluted share from continuing operations. Total adjusted EBITDA was $111.2 million for the fourth quarter, compared with $44.4 million in the fourth quarter of 2017, adjusted to remove the impact of discontinued operations. Cash used for operating activities for the fourth quarter 2018, including discontinued operations, was $17.9 million and capital expenditures for the fourth quarter were $25.2 million. In the prior year period, the cash provided by operating activities was $54.3 million and capital expenditures were $24.4 million. Capital expenditures of $2.3 million from discontinued operations are excluded from the prior year's total. At the end of December 2018, Contura had $233.6 million in unrestricted cash. Total long-term debt, including the current portion of long-term debt as of December 31, 2018, was approximately $588.0 million. At the end of the quarter, the company had total liquidity of $429.9 million, including cash and cash equivalents of $233.6 million and $196.3 million of unused commitments available under the Asset-Based Revolving Credit Facility. As of December 31, 2018, the company had no borrowings and $28.7 million in letters of credit outstanding under the Asset-Based Revolving Credit Facility. Additionally, as a result of the merger with Alpha, the Company assumed $135.7 million in letters of credit outstanding under the Amended and Restated Letter of Credit Agreement and $11.9 million in letters of credit outstanding under the Credit and Security Agreement. On November 9, 2018, Contura's merger with ANR, Inc. and Alpha Natural Resources Holdings, Inc. (together "Alpha") was completed, creating the largest metallurgical coal supplier in the U.S., complemented by a cost-competitive thermal coal portfolio. In conjunction with the transaction closing, Contura ("CTRA") shares were listed and began trading on the New York Stock Exchange. Concurrently, the company refinanced its and legacy-Alpha's term loans with a new $550 million, 7-year term loan credit facility. In addition, the company increased its asset-backed revolving credit facility from $125 million to $225 million. The company is making solid strides on the integration front and the anticipated synergy realizations on a run-rate basis are progressing ahead of the company's initial schedule, which targeted $30 million to $50 million in 2019. For financial figures, click here.